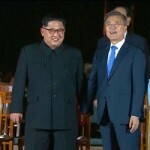 North Korean leader Kim Jong-un has pledged to abandon his nuclear weapons if the United States agrees to formally end the Korean War and promises not to invade his country. 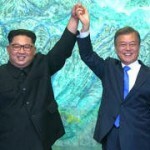 The announcement came after a historic meeting Friday. You are saucier than you let on. In fact you’re quite good at this, though it tends to get in the way of your fun. Imagine yourself at your wildest and most outrageous. Then see if you can move 10% of the way in that direction. That would be just enough to get you out of your familiar safe zone. 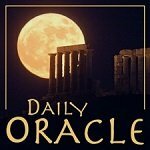 This week’s Full Moon arrives at what seems to be a pivotal moment in your identity development. You’ll soon have Uranus in your birth sign, and perhaps are already beginning to feel the seismic movements in your mental landscape. 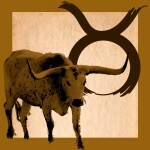 The Full Moon implies the integration of an axis of the zodiac; in this case, Taurus and Scorpio. 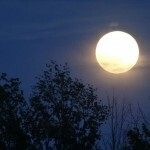 Yet tonight’s Full Moon is square the lunar nodes in Leo and Aquarius, making it energetically similar to an eclipse. There will come a moment when you question everything, and that is the moment when you will find your power. It’s coming sooner than you think, and I suggest you be glad of it. Life is a matter of the circumstances in which you partake participating meaningfully with you. Notice what energy comes back to you, and what does not. I reckon there is plenty going on in your life right now, and that you’re not sure about some of it. By not sure, I mean that your intuition may be nagging you about something or someone. There may be a situation that seems to be all promise and little payout. You’re now facing a situation in which you’re being summoned to be what used to be called ‘the bigger person’. To get along with people, we must at least seek to understand where they are coming from, and to be flexible with the things they believe about themselves that are not true.